The run out to this tearoom must be one of the top ten driving roads of England, and if it’s not, it should be. Picking up the A466 at Monmouth, it’s all about the Wye, as the road takes the same route as the river. The scenery remains spectacular all the way, especially in the spring and summer months as the overhanging trees create a tunnel for you to pass through. 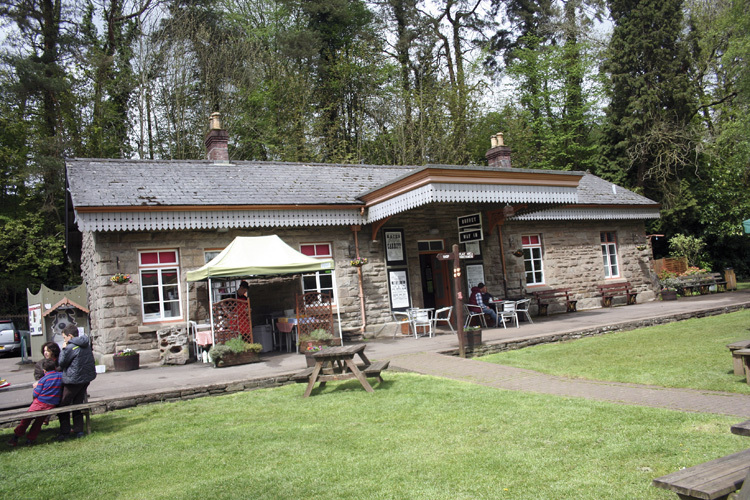 Cross once over the river into Wales and two miles further on until you’ve reached the Old Station Tearoom. 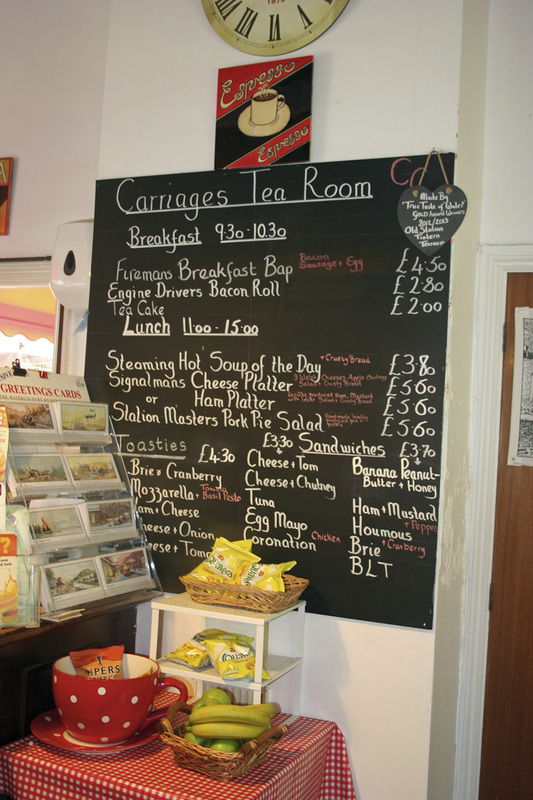 The tearoom is part of the Countryside Centre, serving up delicious (and nutritious) homemade treats. The cakes are as light and fluffy as a goosedown duvet (but rather more tasty), the soup is a meal on its own thanks to piles of fresh crusty bread to help mop it up, while the range of sandwiches means even the most picky of eaters won’t go hungry. Add a serving of the centre’s award-winning Welshcakes and the day is complete. 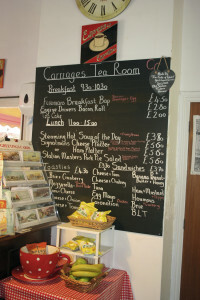 There’s a selection of hot and cold drinks to help wash things down, and again all tastes are catered for. 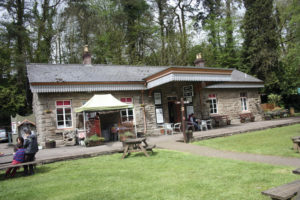 Sit outdoors if the weather is kind and watch the River Wye flow by; if the weather is poor, sit inside and read all the railway memorabilia that adorns the walls and cabinets. But be aware that this is a popular destination, and in good weather it gets very busy, so there could be a wait for a table and the food. But we’re pretty certain you’ll find it’s well worth the wait.